Every so often, we are blurred by the vision of perfection and reality. Beauty is pursued in reference to what we see or are guided to see. It is no longer our personal interpretation. What is real and what is not, then? 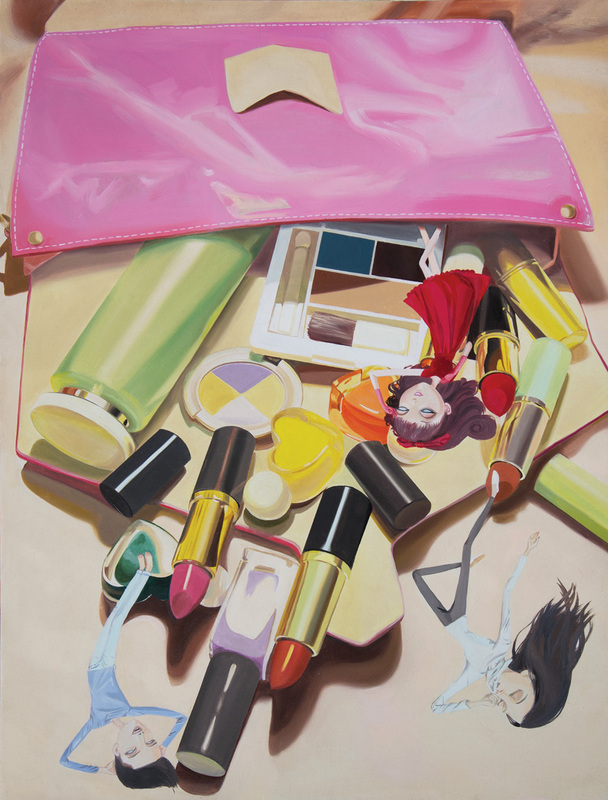 Zhou Ying depicts the grey area of fantasy and reality in beauty. 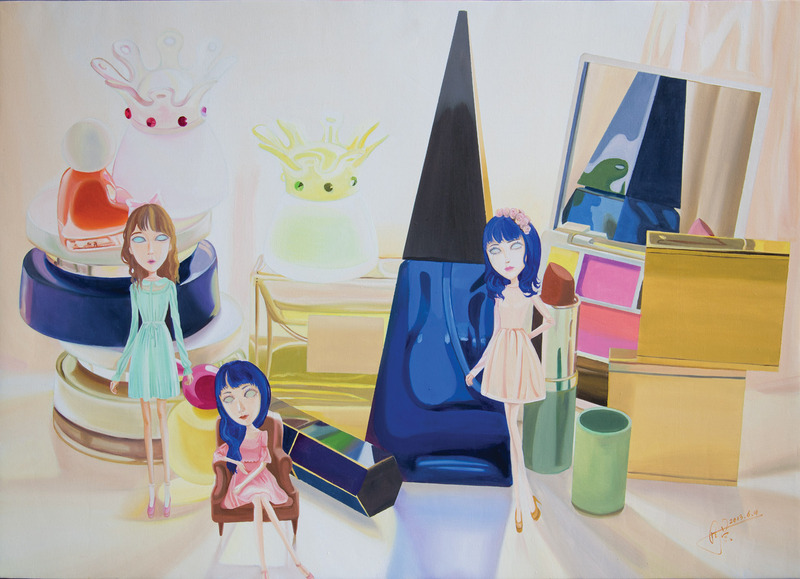 Her focus on commonly used beauty products and doll like figurines paints a picture of fantasy, blending the real world with the make-believe. Zhou Ying has been trying several approaches in developing her painting style and concept. The flatness of the dimensions and the vibrant colours have long been the vocabularies of Zhou Ying. While departing slightly from the traditional realistic portrayal she maintains to a certain extent a sense of three-dimensionality to her work. With several simple layers of different tones, it draws together the two dimensions and three dimensions, portraying opposites. The effect is one of balance between reality and fiction. This exhibition will be open for viewing from 18th October to 10th November, at the below venue. Posted on September 29, 2013 by ChalkandRaddyPosted in Visual ArtTagged EC Gallery, Zhou Ying.